Since childhood we have been studying about air pollution, its effect on the environment and various factors causing air pollution. However, this kind of education is just limited to studies and exams as many people forget this information over a period of time. How many of us are really bothered about the air pollution what can be done to prevent it and to what extent? Let’s learn about method of pollution measurement i.e. air quality monitoring in India. Now a days, just due to health hazards caused due to air borne diseases, people are getting concerned about the air pollution and ways to live a better and healthy life. Recently from 1st January 2016, ODD-EVEN RULE was introduced in New Delhi by the Delhi Govt. Purpose of this rule is to reduce the air pollution caused due to vehicles. Delhi, a metropolitan city is facing severe air pollution reaching levels up to three times higher than the extent limit given by CPCB at its highest point. According to this rule, on even dates, only cars with an even number will be allowed on the city roads. Same for the odd numbered vehicles on the odd days. This is initiated to cut the pollution rate. Fine of Rs. 2000/- will be charged for those breaking the rule. Exemptions for this rule are CNG vehicle, electric vehicle, hybrid vehicle, 2 wheelers, women car driver, women with children up to 12 years, emergency vehicles, PM, vice president, dy. Speaker, speaker(lok sabha, rajya sabha) governors of state, Lt.governors. Read more about best indoor plants for air purification. Let’s study about the AIR QUALITY MONITORING, “air shed” these are the air quality monitoring zones i.e. the established at various parts of cities throughout the country. This helps in designing the local solutions for the government to know till what extent the pollution has occurred and what can be done to reduce it. The elements that are monitored during air quality monitoring In India are the substances like CH4,THC, and NH3, Co2, H2S, TSP, PM10, RSPM, PAH, So2, NO2, Ozone, VOC’s. Presence of these pollutants in atmosphere in particular city are indexed in such a way that layman can understand air quality based on Air quality index. Continuous monitoring: where, instantaneous measurement of ambient air of pollution is done like NO2, ozone, hydrocarbons, H2S, particulate matter, So2 are analysed. Intermittent monitoring: where, sample is collected over a 24 hrs. And then analysed in laboratories. Particulate matters and hydrocarbons are analysed. Mobile air quality monitoring: where, a special kind of vehicle is moved around the site to monitor ambient air. Passive air monitoring: where, reactive surface is used in which solid chemical is filled. It provide a monthly average for pollutants being monitored. designed based on requirement or objective of environmental monitoring programme. CPCB has initiated National Ambient Air Quality Monitoring, to measure, analyse the ambient air in a particular region. 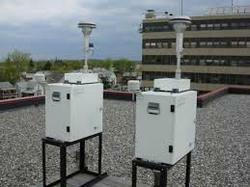 NAAQM regularly identify air pollutants like sulphur-di- oxide, oxides of Nitrogen, SPM, RSPM. There are various NAAQM networks worldwide. They include CPCB(Delhi), SPCB, pollution control committees, NEERI, Visvesvaraya college of engineering(Nagpur), University of Pune, KTHM college(Nashik), WIT college(Solapur),Thane municipal corporation. Before starting air monitoring process, background data needed are source and emission, health and demographic, meteorological information, previous air quality information. As discussed earlier, main components that affect air quality are So2, emitted through domestic emission of fuel burning, industrial emission, diesel vehicle, etc. No2, it is formed in atmosphere by reaction of NO, ozone and hydrocarbons. High pollution and traffic area are chosen. RSPM/PM10, diesel vehicle are source, i.e. combustion. 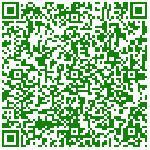 SPM, soil borne dust, construction activities etc are source.Co2, vehicle, commercial areas, high traffic density areas. Ozone, its secondary pollutant, caused due to reaction of NO, HC in atmosphere. According to NAAQM, annual average should be computed of 104 measurements taken twice a week of 24 Hrs. duration. 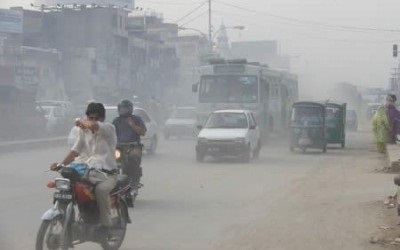 Looking at the overall situation of air quality, we have to work hard together to reduce the air pollution by various ways like, by using public transport instead of private vehicles, creating social awareness, implementation of practical and projects in schools and colleges that are related to study of the air quality and air quality maintenance. Read more about ways to reduce air pollution from Industries. Excellent information in brief. Thanks. Thank you Arunakalyan for your comment. Glad that you liked it.